May I please get your thoughts / advice? 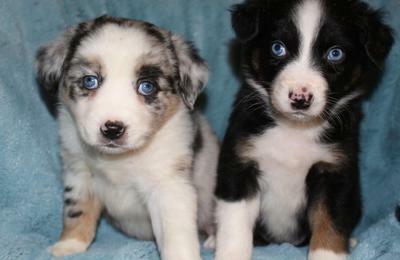 We are set to be first time dog owners in a couple of weeks as we will be picking up the merle in the attached photos. We love everything about this pup. He is 7 weeks old. But we are a little worried about his eyes, and worried that is might be a genetic problem. However we know that the pup is from a merle and a solid parents. Are our worries ridiculous? Is this a sign of something? Is there anything we need to worry about with this in the future? Any advice or words of wisdom would be very much appreciated. 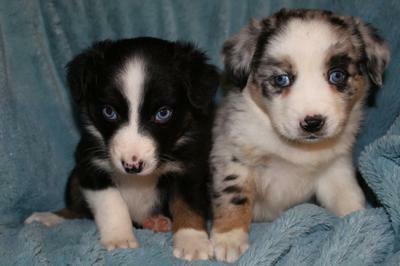 We have a blue merle aussie-mini with baby blue eyes and love him to pieces. He's almost 6 know and his left eye has an issue. It's his pupal. He's been to the doctors many times over the years and they never said anything about it. It doesn't bother him at all. Great dogs! 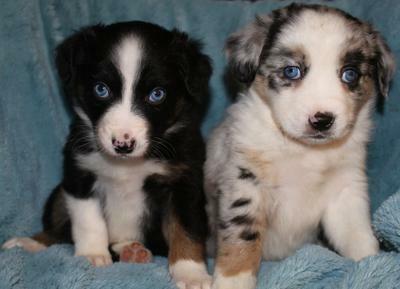 We never had a aussie before so I do not know if this is a common problem with the breed.